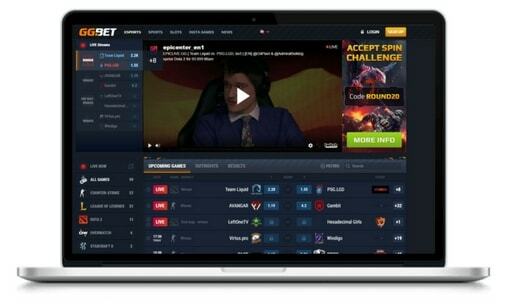 Having a laser like focus on e-sports, GGBET's entry on the e-sports betting scene has taken the scene by storm. The website features inviting design using imagery from various games in e-sports combined with smoldering hot bonus promotions! When you open a new betting account, you usually get to choose between various bonuses. These bonuses are sent to you via e-mail as codes depending on the active promotions. Click on the button to open an account and to get your bonus code in your inbox. Each month at GGBET you can participate in promotions. These promotions are sent out to all members. Sometimes they are designed for specific games and sometimes players get a deposit bonus that is matched to a certain amount. Right now, a bonus promotion where bonus codes are sent out when players are activating their betting account is running. Bonus money usually come with wagering requirements. Currently, wagering requirements for bonus amounts are x14 the bonus amount with minimum bets at 1,75 for the wager to count. GG.BET recently signed a sponsor deal with Nordic e-sports organization Alliance. GG.BET now gives all Alliance fans a free 50 SEK bet without a deposit. To activate the offer you need to use the code “ALLIANCE” in your betting profile. Hoping to make a name for themselves in the e-sports scen, the betting company was founded in August of 2016. About 1 year later, we can conclude that they have been successful in doing so. GG.BET is run by e-sports enthusiasts with a passion for games, wanting to provide gamers all over the world with the coolest experience in e-sports betting. The company is registered in Cyprus with a gambling license via Curacao Egaming. This means that people from England cannot participate on GGBET since you need an active gambling license from England’s gambling committee to cater to English players. If you like live betting, GG.BET has a great selection of live betting options. Here is a quick run-down if you don’t know what live betting is: live betting is all about making bets while a game is ongoing. Usually, betting is only possible before a game has started, but since demand for live betting has grown, it has become more and more popular and more and more variations are created each day. Games that are available for live betting at GG.BET: CS:GO, Dota 2, and LoL. You can easily access your betting account on your mobile phone. GG.BET hasn’t released a mobile app, but they have a functioning mobile version of their website that is comfortable to use on your phone. It is easy to navigate when you want to bet on games, check statistics, and read the latest news. If you are only going to bet on your mobile device, you might want to consider checking out some of their competitors, such as Betway esport. Since GGBET only has been around for about 1 year, they still have a couple of bugs, which isn’t uncommon for a young company. When opening an account, you are asked to submit your personal information. This is for your own security and is used to control that no one else can bet using a fake name, making sure that a betting account is only tied to 1 identity. GG.BET treats your information with confidentiality and their website is encrypted to provide you with a secure experience without incursions or spyware. To increase security, it is a good idea to keep your password and user name hidden from other people. Sharing your login details is the greatest security threat and the one that leads to most problems. GGBET offers support via e-mail, phone, or chat if a problem arises. The support stands out from its competitors as they are very accommodating. You will receive fast responses, and if they don’t know the answer immediately they will make sure to get back to you as soon as they know. Having great support is something that is usually underestimated when assessing betting companies – at least until you have an issue that needs to be solved. There is nothing that creates a better experience than when you get instant help as soon as a problem arises. You can reach the live chat support on the main page by clicking ”Support 24/7”. There are many options when you need to deposit or withdraw your money. What sets GG.BET apart from other betting sites is that they offer Skin Pay as a payment solution. With Skin Pay you can bet using your CS:GO or Dota 2 skins. Money from skins works just like any other currency and can be used both for betting and for withdrawals. GG.BET is an up-and-comer on the e-sports betting scene and has since launch proven themselves to be a site that takes e-sports betting seriously. GG.BET are constantly hosting promotions that are sent out on a monthly basis. 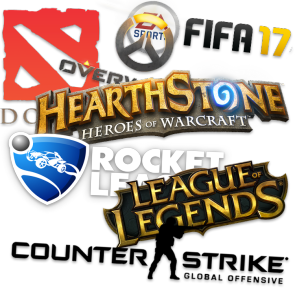 As a customer, you will know that they are always focusing on e-sports betting. 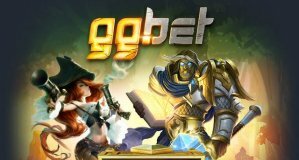 At Fragbetting.com, we believe that GG.BET delivers an awesome experience, despite them being relatively new on the scene. We would love to see some kind of permanent bonus system to make their offers more comprehensible, but we like that they surprise users with new bonus offers each month. Open an account today and you will get a welcome mail with more information about bonuses you are eligible for.